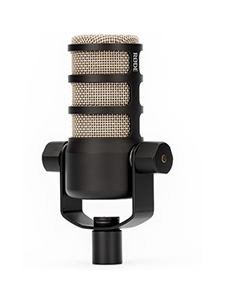 RØDE Microphones - Win the ultimate filmmaking experience in Hollywood - RØDE Rockumentary! RØDE Microphones is proud to announce the launch of RØDE Rockumentary, an international short film competition designed to support aspiring filmmakers. 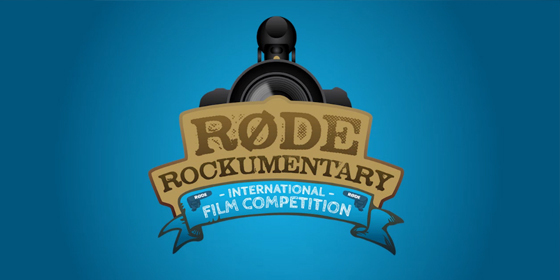 The winner of 'RØDE Rockumentary' will be rewarded with a money-can't-buy experience in Hollywood with master filmmakers Philip Bloom and Jason Wingrove, as well as runner-up prizes of microphones, speakers and accessories with a total value of over $25,000. Entrants to 'RØDE Rockumentary' are asked to compose a short film of no more than two minutes in length, and submit the video via roderockumentary.com between July and August, 2012. At the close of this entry period the videos will be shown to a guest panel of judges that are amongst the leading creatives in their field, including Jared Abrams, Mitch Aunger, Philip Bloom, Lan & Vu Bui, Sebastien Devaud, Adam Forgione, Matt Jepsen, Mick Jones, Preston Kanak, Nino Leitner, Den Lennie, Bruce Logan ASC, Kendall Miller, Jem Schofield, Diego Stocco, Jose Luiz Tamez and Jason Wingrove. First prize winners will be flying to Los Angeles to film, direct and edit a documentary focussing on the winning artists from the 'RØDE ROCKS' international band competition as they record at the world renowned Record Plant studios in Hollywood, as well as all the behind the scenes excitement both during the sessions and after-hours. 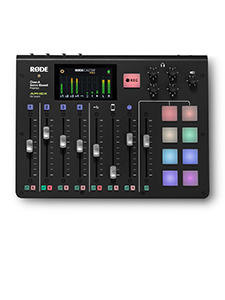 RØDE will provide all the cameras and equipment required to create a cinematic quality production. Joining the lucky winner to provide hands-on guidance and tips-and-tricks will be renowned cinematographer Philip Bloom and celebrated director Jason Wingrove. Second and third prize winners will share in over $25,000 worth of filmmaking equipment including a suite of location microphones from RØDE, studio monitors from Event, and premium camera bags and accessories from ThinkTank Photo. RØDE Rockumentary co-mentor Philip Bloom has emerged as one of the leaders of the online filmmaking revolution, pioneering the use of Digital SLR cameras to create spectacular short films. His talent as a cinematographer and filmmaker is only surpassed by his generosity and passion as an educator. "This is a incredibly exciting project that brings music and film together in such a unique way." he commented. "This is a fantastic idea that I know is going to spark a huge amount of interest. If I wasn't judging and mentoring I would be entering! 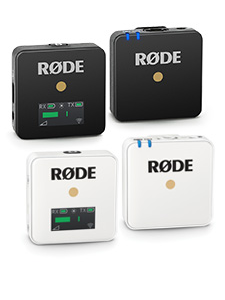 RØDE really are pushing forward the grass roots of both media." "As a recently baptised Australian I'm proud to be asked by RØDE to contribute to this very cool project." co-mentor and internationally awarded director Jason Wingrove continued. "There's a brilliant group of judges involved and I'm sure the contestants will have a really creative experience."